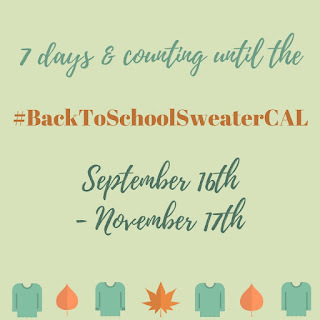 Yay - it's seven days and counting until our Back to School Sweater CAL starts on the 16th of September.... It has been SOOO hard not to get started on my sweater. Some people have been a little bit naughty and in their enthusiasm have already started on theirs (and even finished!) Anyway, please do go over to the chatter thread in the Crochet Circle Podcast group on Ravelry to join us and you'll see which patterns and yarn choices people are making. 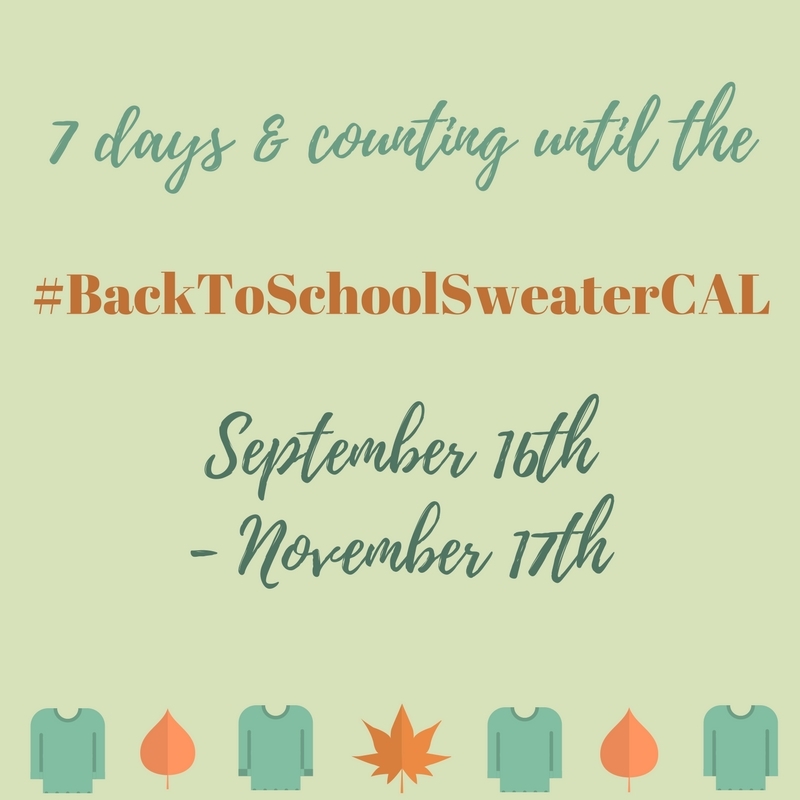 I've guestimated we have at least forty makers... going by comments in the group and those on Instagram using our hashtag #BackToSchoolSweaterCAL (this is another way to join in if you're not a Ravelry person). Jo was right that you've got to carefully choose a style that suits you and that you've got be honest about your body shape. I'm not going make a cropped top and my upper arms need covering up. A garment that is shaped to my waist works because of my curvy figure. And I find a wider neckline balance my hips. I very carefully scrutinize all of the project photos on Ravelry to see what the garment looks like on different body shapes. I've found that fitted garments made from thicker than a DK / light worsted weight yarn just don't look flattering on me. I am not going to link you to one of these horrors. However, I have had success with a heavier worsted weight yarn with my Butterfly Garden Cocoon Shrug because it wasn't loose fitting. Helen is writing about this in her blog post this week Making at number 14 so I'm looking forward to more insight on yarn choice. Awwhh. Thank you Helen! It's going to be great to finally start the CAL ... seems like months ago that you suggested we organise it! An issue for me is knowing how the yarn is going to feel when it's worked up. It would be useful to know but not always achievable until it's too late! I made a cardigan in bulky yarn that looked great when I first made it (and on the designers photos) but in reality, a year on it's stretched out of shape badly and is more like a blanket than a garment! What a shame Jo about your bulky cardigan. We need to add yarn reviews to the list!